Definition at line 499 of file CCopasiXMLParser.h. Definition at line 507 of file CCopasiXMLParser.h. Definition at line 5284 of file CCopasiXMLParser.cpp. Definition at line 5289 of file CCopasiXMLParser.cpp. 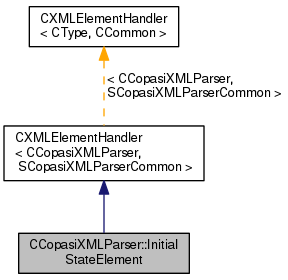 Definition at line 5327 of file CCopasiXMLParser.cpp. 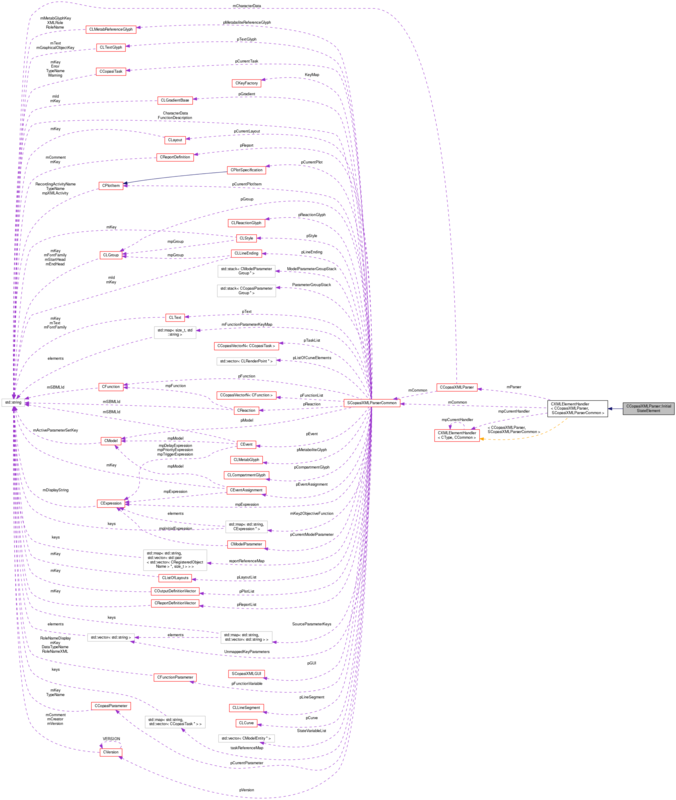 References CState::beginIndependent(), C_FLOAT64, C_INVALID_INDEX, CCopasiMessage::EXCEPTION, fatalError, CStateTemplate::getIndex(), CModel::getInitialState(), CModel::getStateTemplate(), CCopasiXMLParser::mCommon, MCXML, CExpatTemplate< CExpat >::mParser, SCopasiXMLParserCommon::pModel, CModel::setInitialState(), START_ELEMENT, SCopasiXMLParserCommon::StateVariableList, and UNKNOWN_ELEMENT. Definition at line 5294 of file CCopasiXMLParser.cpp. References CCopasiMessage::EXCEPTION, fatalError, MCXML, CExpatTemplate< CExpat >::mParser, and UNKNOWN_ELEMENT.